Property 2: Studio condo w/ shared courtyard & pool - walk to everything - dogs welcome! Property 3: Studio overlooking historic Key West waterfront. Property 4: Dog-friendly studio in historic building w/ shared pool - beach nearby! Property 5: Unique and beautifully renewed apartment in the heart of downtown, Key West. Property 6: Comfortable, dog-friendly studio w/ shared pool, patio & nearby beach access! 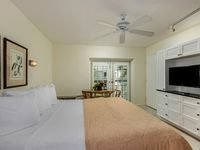 Property 7: Unique and beautifully renewed apartment in the heart of downtown, Key West. Property 8: Unique and beautifully renewed apartment in the heart of downtown, Key West. Property 9: Unique and beautifully renewed apartment in the heart of downtown, Key West. Property 11: Perfect Old Town Location, walk to the Harbor and Duval Street! Property 18: Romantic & elegant studio-style cottage w/ private hot tub - dog-friendly! 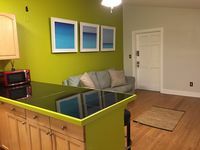 Dog-friendly studio w/ private deck & hot tub - 1 block to Duval St! Property 24: Dog-friendly studio w/ private deck & hot tub - 1 block to Duval St! Historic vacation rental with a private pool - dog-friendly! Property 27: Historic vacation rental with a private pool - dog-friendly! Property 29: Secret Casita - A relaxing 2 bed / 2 bath escape in the heart of Key West! Annual trip. Hope I&rsquo;m lucky enough to stay here every year. Great location right downtown. Newly remodeled. Clean. Classy. This was my second time staying there. Had a couple questions about things during my stay. Sent a message through the app and they were answered immediately. Highly recommend this place. Can&rsquo;t say enough good things. Clean, beautiful, perfect location. Never even needed our car. This will be our go to destination for our trips to Key West!